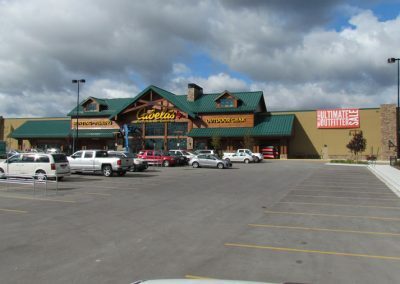 Cabela’s is a sporting goods store in the original sense of the word. 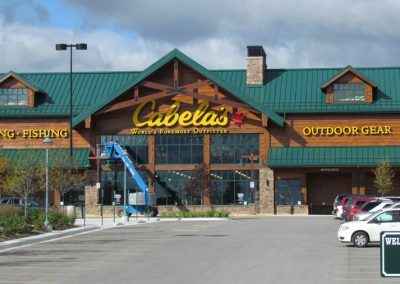 Catering to hunting, fishing, and other outdoor pursuits, it sees itself as “the world’s foremost outfitter,” dedicated to providing products of exceptional quality to their customers. 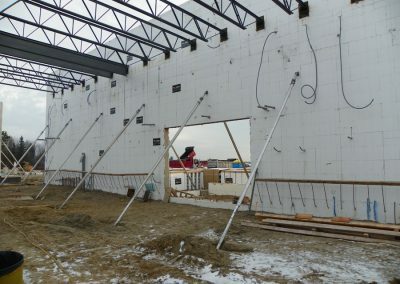 When the company began planning a retail outlet in Barrie, Ontario, Canada, their construction choices mirrored their overall approach to business: a structural shell of exceptional quality and durability at a reasonable cost built with energy-efficient, disaster-resistant insulated concrete forms (ICF). 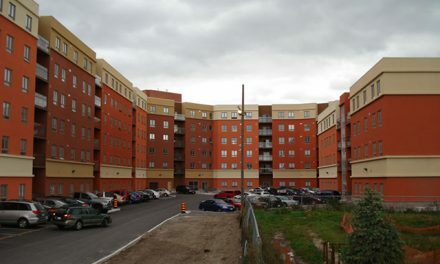 It was put out to bid, with Elite Building Group getting the nod as ICF installer and Fox Blocks as the ICF of choice. 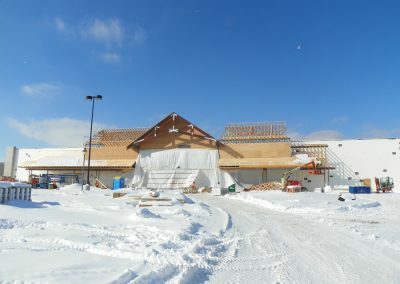 More than eight feet of snow fell during the ICF phase. The all-ICF design reduced costs by 15%. 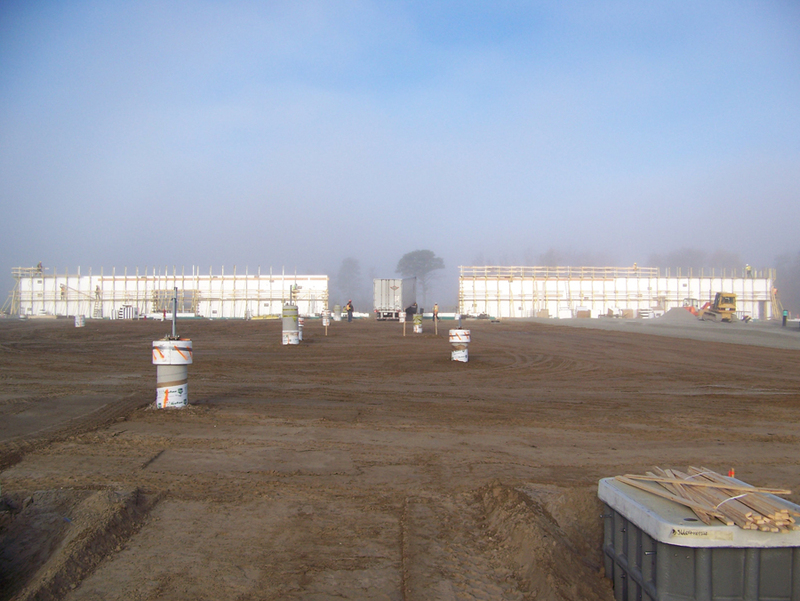 Based on previous experience, the general contractor scheduled the ICF install to take place over 22 weeks. But Elite’s experienced crews figured they could stack the 42,000 sq. 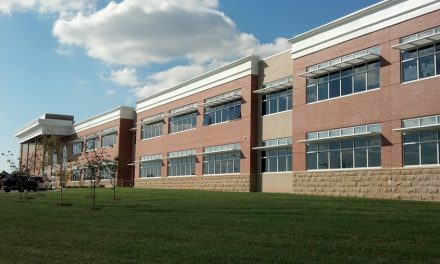 ft. of block in no more than 16 weeks, and the schedule was adjusted accordingly. 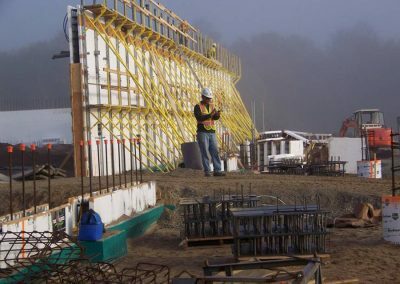 In fact, the job went so smoothly that they soon found themselves considerably ahead of schedule, despite the inclement weather. 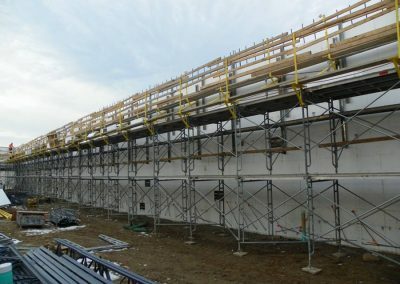 Blocks were covered each day to keep snow out of the 8-inch cavity. 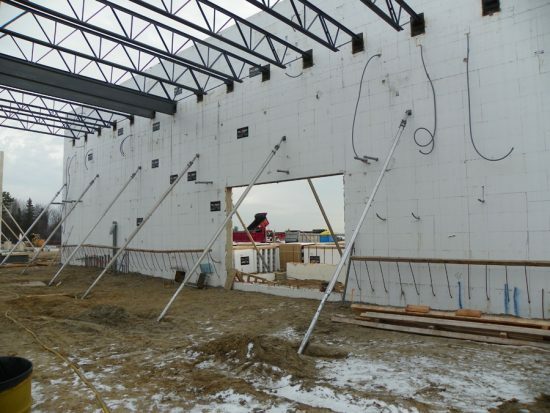 More than eight feet of snow fell during the 12 weeks of ICF construction. 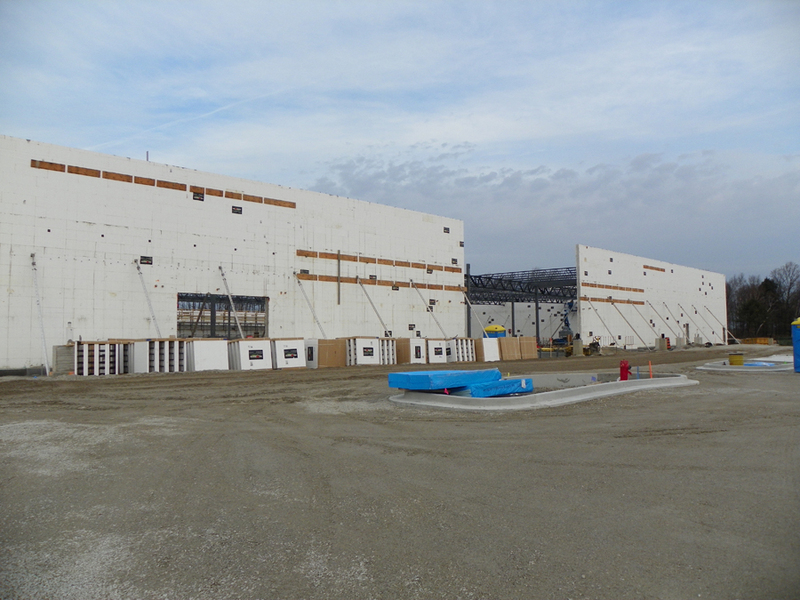 The ICF portion wrapped up in only 60 working days. ICFs were used to form posts and columns, barrier walls and even retaining walls. 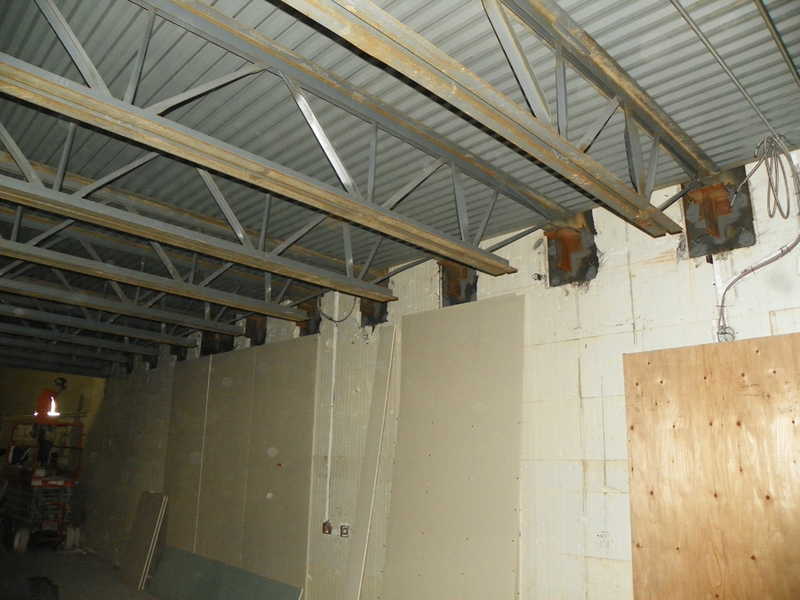 About 280 steel weld plates were embedded in the walls to support the roof and mezzanine. 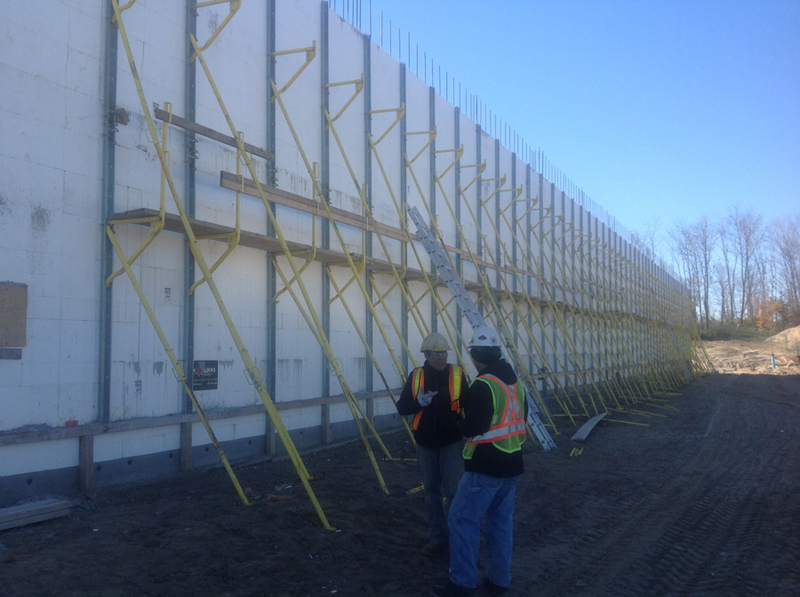 Crew stacked 1,100 linear feet of walls, most reaching 29 feet above grade. 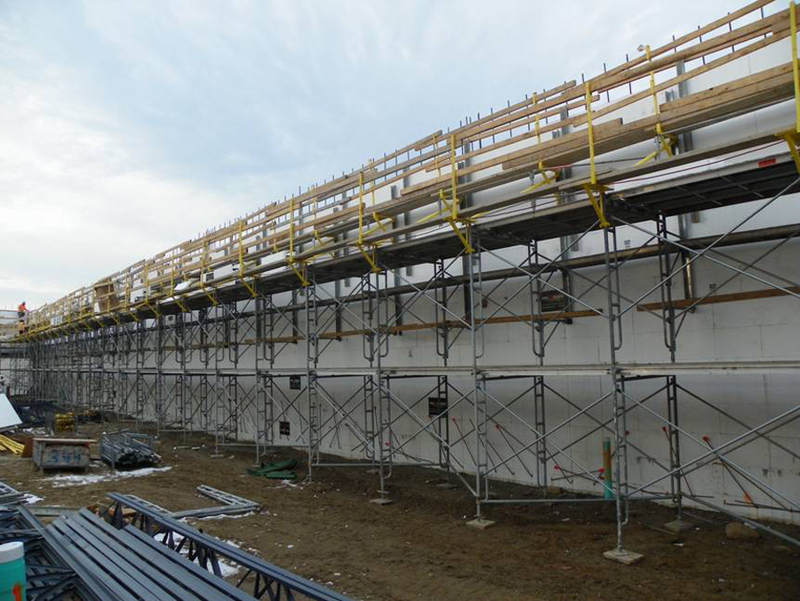 This remarkable pace was assisted by a versatile bracing system from Giraffe that seamlessly managed walls from 10 to 29 feet high. The roof and mezzanine are supported by open web steel trusses, which were attached to the ICF walls via 280 steel weld plates, each measuring 26″x16″. Plates were supported during concrete placement with wood strapping. 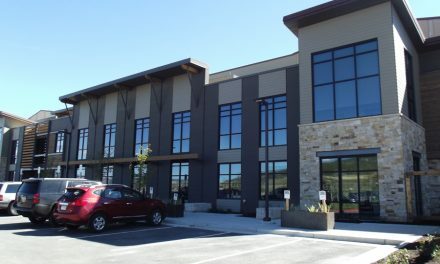 variety of exterior finishes used, and the ICFs are remarkable for the ease with which these finishes were installed. Log siding and wood siding were easily attached to the ICF webs. 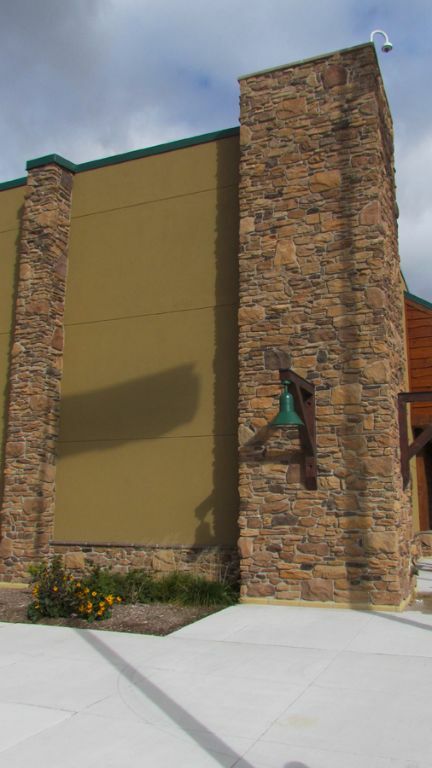 The cultured stone and acrylic stucco was applied directly to the foam forms. 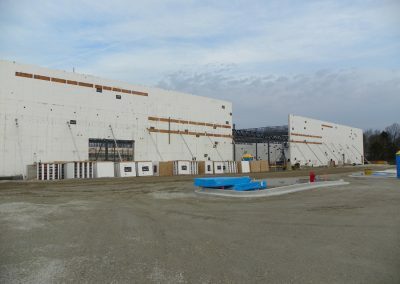 Total construction time was about eight months—on time and on budget, in spite of the severe winter—opening in the spring of 2014. 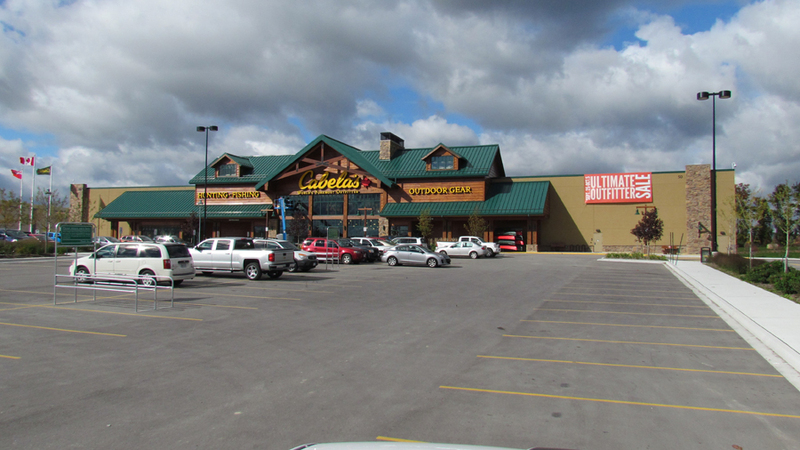 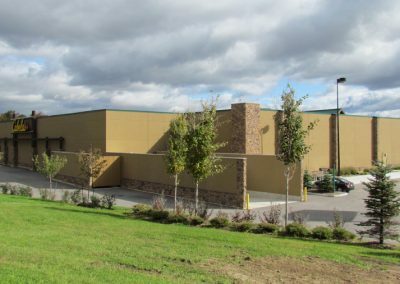 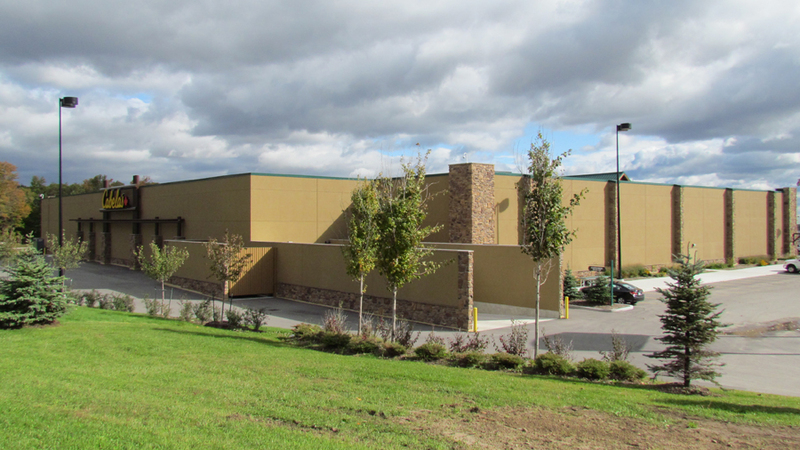 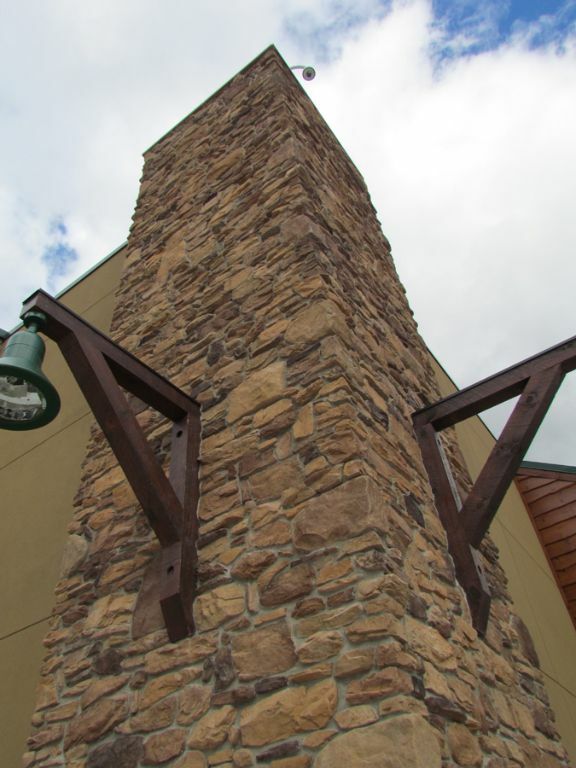 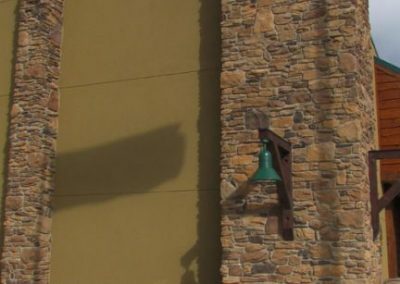 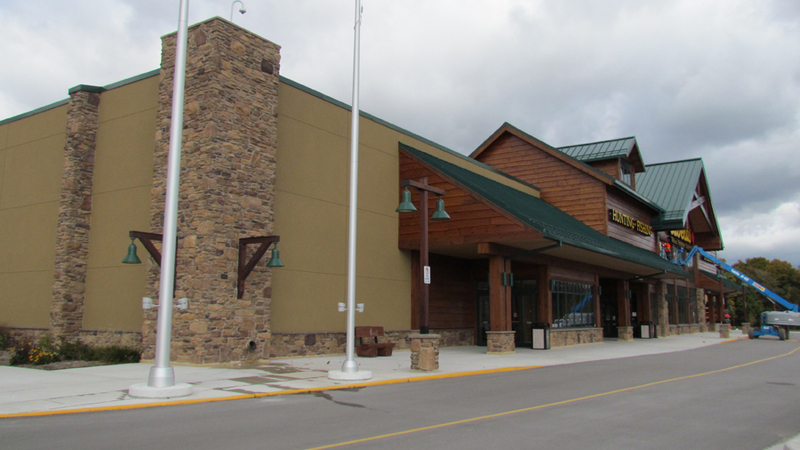 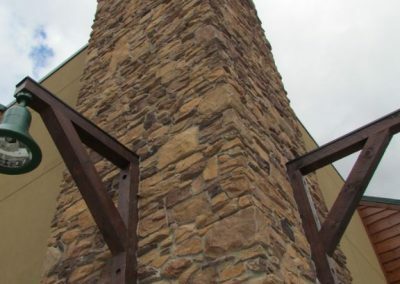 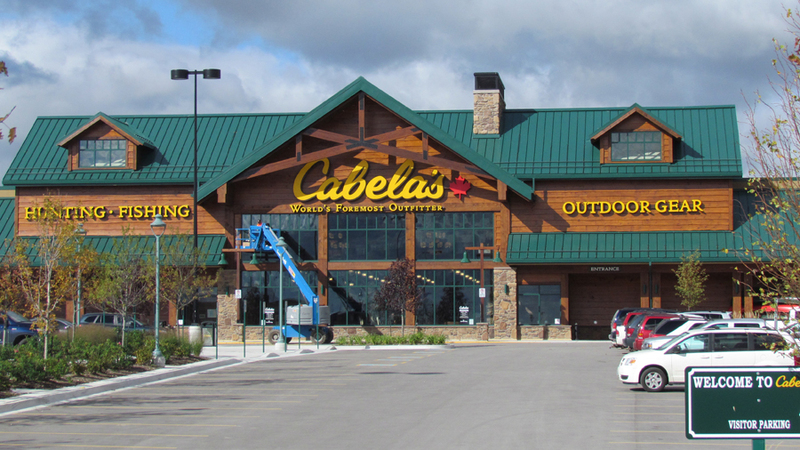 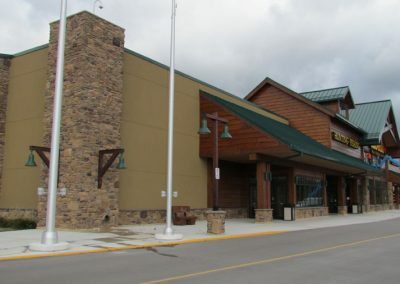 Williams says, “The success of this project, in keeping costs in place and speeding up the build schedule, ensured that future Cabela’s stores will also use ICF’s.” In fact, a few months after the Barrie store was completed, another store was already out to bid. 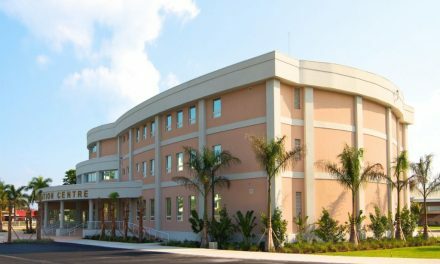 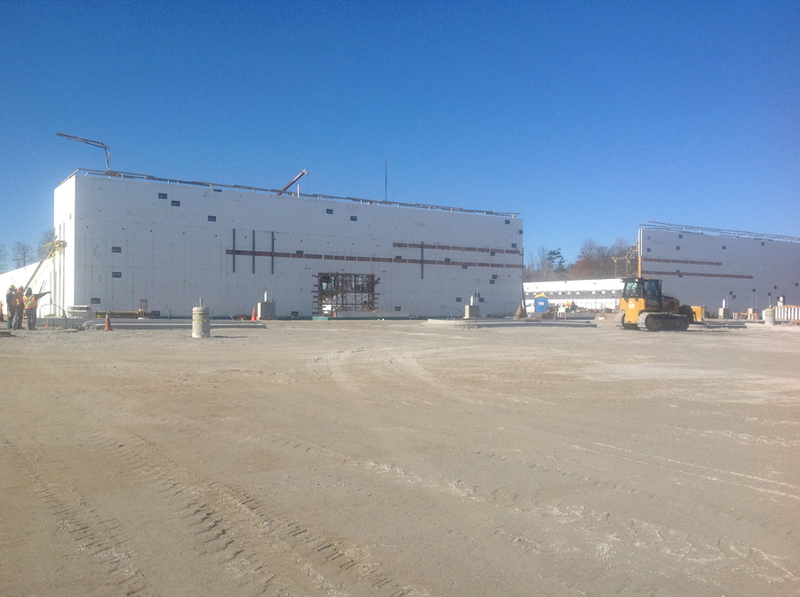 When the winning GC asked to replace the specc’ed ICF envelope with a red iron and panelized system, the proposal was refused based on the success of this project. ICF Use: 42,000 sq. ft.
ICFs were used to form posts and columns, barrier walls and even retaining walls (right and top). About 280 steel weld plates were embedded in the walls to support the roof and mezzanine (center). Crew stacked 1,100 linear feet of walls, most reaching 29 feet above grade (bottom).